The 10 pillars needed to pull off stellar enterprise-level SEO. Effective and consistent pursuit of all ten pillars puts you on the path toward becoming an F2R Organization--the gold standard of SEO... a bonafide SEO Force to Reckon With. Evaluate your performance in the 10 Pillars of SEO needed to perform stellar SEO to know what you’re on top of, what’s holding you back, and how to move forward into a better SEO future. This becomes a strategy gap analysis and more! Pillars 1-6 are the pillars considered by search engines in their algorithms. The strategies you have within these pillars determine whether your approach to SEO is as holistic as the search engine ranking formulas. These pillars contain the tactics you apply to implement your SEO strategies. Pillars 7-10 are the SEO gold mine. They address how effectively you and your organization manage the implementation of your SEO strategies. Small businesses need to worry about these pillars a little less (except Pillar 10: Metrics). Enterprise-level companies will find Pillars 7-9 to be the BIGGEST and most valuable SEO levers to propel SEO traffic and revenue. This pillar is all about ensuring search engines can view all pages on your site in a way they should - without duplicated content, without spider traps, without skipping content, etc. Development and User Experience teams influence this pillar the most. Will the search engine robot crawl the site and index the site as intended? Will the search engine robot crawl the site and be able to index the content on the page as intended? Ask these questions when determining how to implement the tactics in this pillar. Pillar 2 pillar is about being relevant to what people typed into a search engine, while simultaneously wowing to the point that people cannot help but share it. Containing keywords is no longer enough, user experience and content that is better than the competition is vital to SEO success. How pages link to each other within your site and collectively make up the site’s information architecture as seen by a search engine. Stellar internal linking will aid in new page discovery, pass value for SEO, and drive users deeper into the conversion funnel. External links have always been the cash cow of SEO (and that hasn't changed). This pillar refers to links and mentions on third-party sites. For many big brands, not having a pursuit of quality external links in their strategy probably isn’t hurting SEO. However, it is a HUGE missed opportunity... and would be an SEO revenue needle mover if they did. The Social Activity pillar is about creating a halo effect from your social media activity. It uses social media to impact elements such as how people describe your company or brand, and which pages receive links from other websites. This isn't about the number of shares, tweets, pins, and likes... it's about using social activity to help generate external links in Pillar 4. The indirect, halo effect is the true value of the Social Activity pillar - not the number of shares, tweets, pins and likes. The Social Activity pillar does not stand alone. It is closely linked with Pillar 2, Content, and Pillar 4, External Links & Mentions. The User Experience Pillar simply calls for designs to be user friendly, but it is far more than your landing page. The SEO and User Experience teams’ job is to know and understand the competition, and make sure that upon arrival customers can quickly orient themselves, find what they were looking for, and dive deeper into your site. Pillar 7 is about equipping the SEO team for success, which has a great deal to do with the SEO team’s ability to mobilize and utilize non-SEO teams to act. This is the pillar you need to have in place and in tip-top shape before the F2R Methodology can become effective at integrating SEO into your organization. If the SEO team doesn’t have it together, then they cannot lead. The goal is not to transform the non-SEO teams into SEO experts, they have their own distinctive and important job descriptions. This pillar instead requires non-SEO teams to pursue SEO as it applies to their roles and to become SEO Forward Thinkers. When trained correctly, non-SEO teams see the SEO team as a strategic partner, collaborate effectively - and everything gets easier. This isn’t about knocking down and building back up; instead, this pillar is about a change management that weaves SEO into your tried-and-true processes that are already in place and working. The Processes Pillar is about the practices, policies, and systems that govern how all the other pillars will be implemented. The Metrics pillar is about measuring, reporting, and evaluating the results of SEO activities. It’s not all about KPI’s, instead, this pillar will focus on the metrics your company needs but probably are not reporting on today. 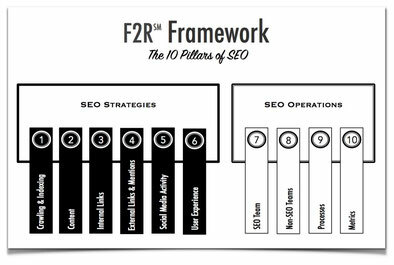 The F2R Framework and how to use it to to make your company an SEO Force to Reckon With is thoroughly covered in The Executive SEO Playbook. 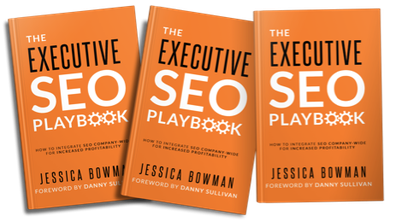 The full power of this F2R handbook comes to life when it's in the hands of every single person who can help or hinder SEO with everyday decisions. 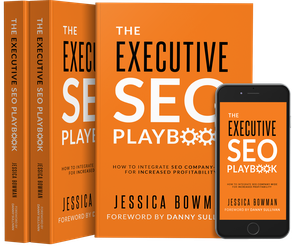 It's a playbook for executives... but everyone else needs to know the playbook, too!